Philly Improv Theater’s entry in this year’s Fringe Festival is both a comedy and a tragedy, often at the same time. Close Your Legs, Honey follows 11-year-old Honey Louise Nanette Baker (Hannah Parke) as she participates in the nine-to-11-year-old division of the 19th Annual Little Miss Cutie Pie Pageant in Tennessee, under the thumb of her singularly focused mother. Parke co-wrote the 75-minute musical with Shamus Hunter McCarty, sharing credits for the book, music and lyrics, with additional contributions by Matthew Mastronardi. McCarty also directed the production. The show opens with Honey dreaming about what else she could be aside from, or in addition to, a pageant winner: a karate master astronaut perhaps, which is in contrast to her co-contestants’ stated aspirations (mother, good Christian). Honey’s mother – her mama –, a former pageant winner herself, will accept nothing less than first place and ignores her daughter’s objections, which range from ideological to physical as she complains about being isolated from the others, and whines about a stomach ache. Even Honey becoming a woman on stage and being subtly propositioned by the emcee are treated as part and parcel of the pageant life, and her mother is not dissuaded until something happens to Honey that no contestant could recover from. With a plot like that, the challenge to the writers is the balance of heart and humor. Close Your Legs, Honey is, first and foremost, a comedy, but Parke and McCarty – perhaps inadvertently – created a deep, loveable and pained character in Honey. As Mama, commandingly performed by Katherine Perry (who also assistant-directed and choreographed the piece), forces “Hee Haw Juice” (cola, Mountain Dew and a touch of cough syrup) into Honey’s mouth at every complaint (to “pep her up”), there is laughter, but at the same time a touch of realism. During “Mama Don’t Know,” we learn about the other contestants’ cattiness but also their own desires to be more than pageant queens. In “Daddy, Mama, Honey,” Honey’s mother recalls the story of Honey’s less-than-celebratory conception at the hands of a host in her early years, which preemptively excuses what Honey’s competition’s emcee (Tyler S. Elliot) offers her. The jokes are plentiful and germane, staying within the boundaries of the subject matter: pageants, mean girls and Tennessee, including appearances by Dolly Parton (Camille E. Young). And most of the jokes land, as evidenced by the raucous and positive audience reaction. But there are tender moments as well where the characters are exposing their vulnerabilities, such as Honey’s lovely solo “Turn Me,” where the peripheral comedy was a distraction. 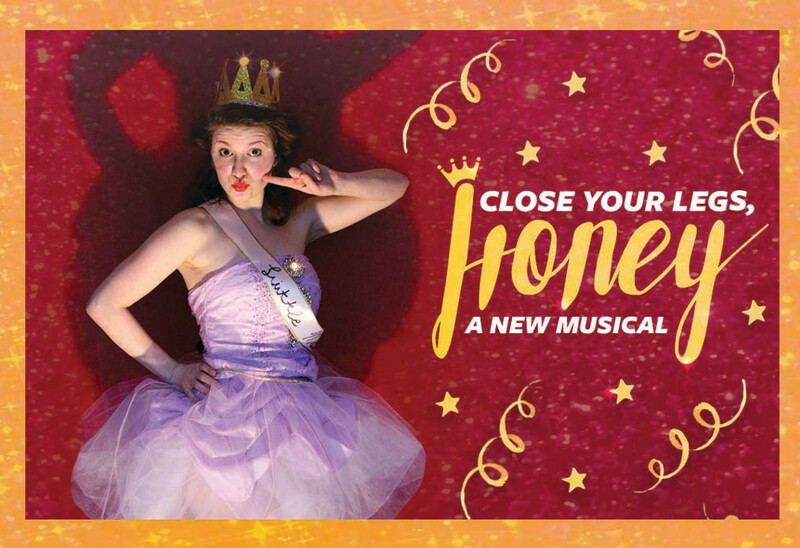 In the end, Close Your Legs, Honey succeeds in its goals – the songs are catchy, the comedy is topical and the audience gets to root for a character with depth and potential. The next and final performance is on Saturday, September 22 at 2PM. Tickets and information can be found here. Next EVERY BRILLIANT THING Announces Return Engagement to Arden Theatre After Triumphant Sold-Out Run!